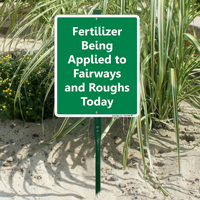 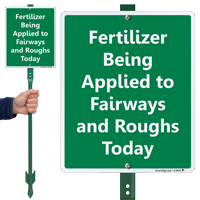 LawnBoss Golf Directional Sign informs golfers and visitors about the status of specific zone in a golf course. 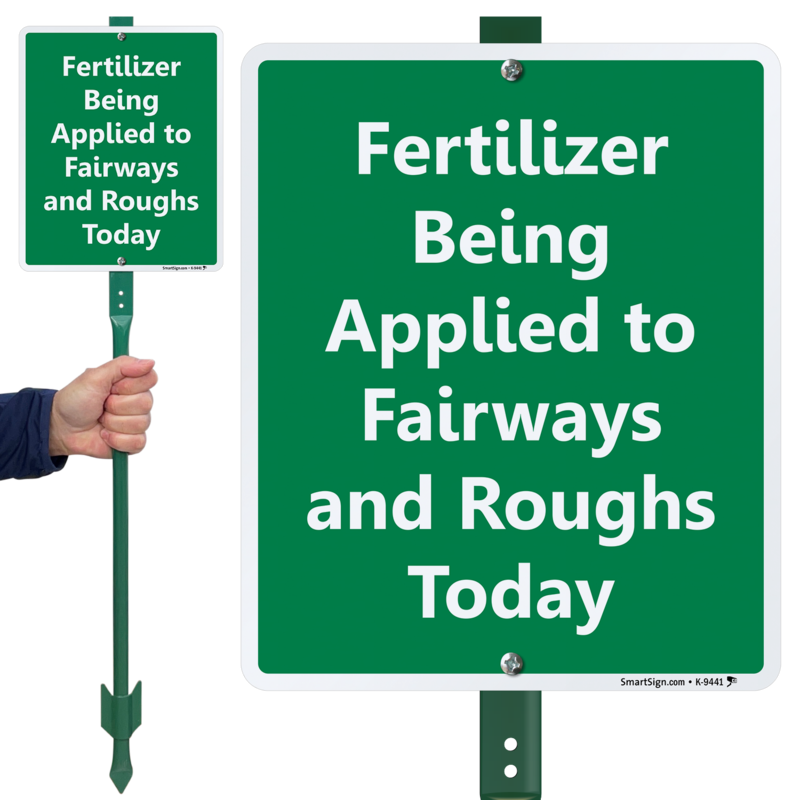 • Sign comes pre-assembled with a 3 inch tall stake and a barb. 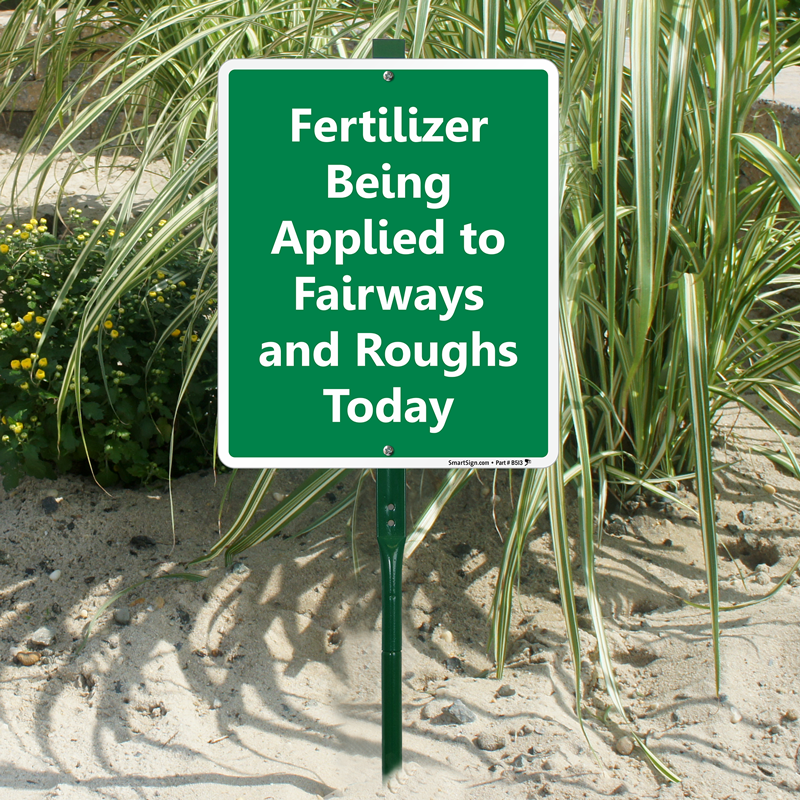 • Bright green sign with bold fonts facilitates great visibility.